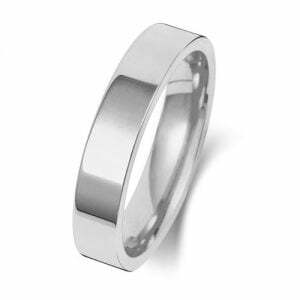 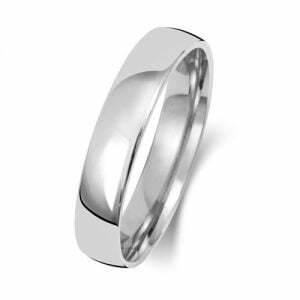 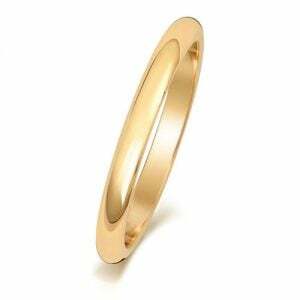 Classic Sligth Court wedding bands in 2.5 mm width in almost all sizes. 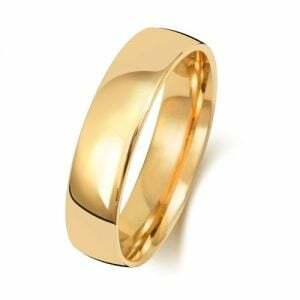 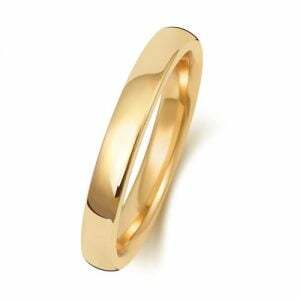 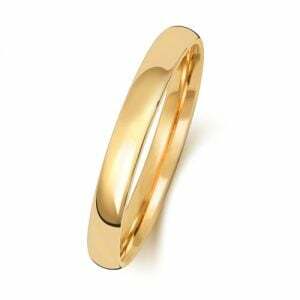 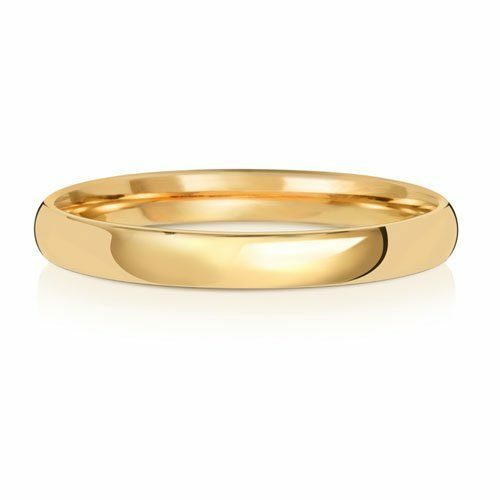 Our Yellow Gold wedding bands are available to order in 9ct and 18ct. 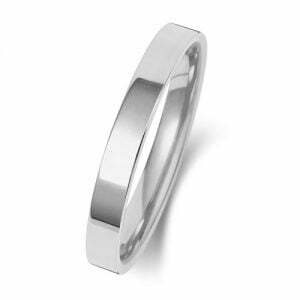 All our plane bands are categorized in different depth classes, the light weigh is 1.4 – 1.6 mm in thickness and the heavy weight is bit thicker with 1.7 – 1.9 mm depth. 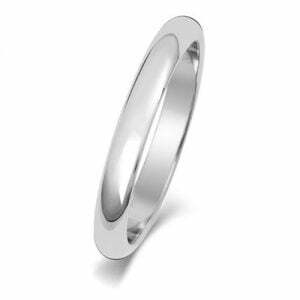 For specific depth or any other inquiries please contact us.